This shift dress is all kinds of boujee. 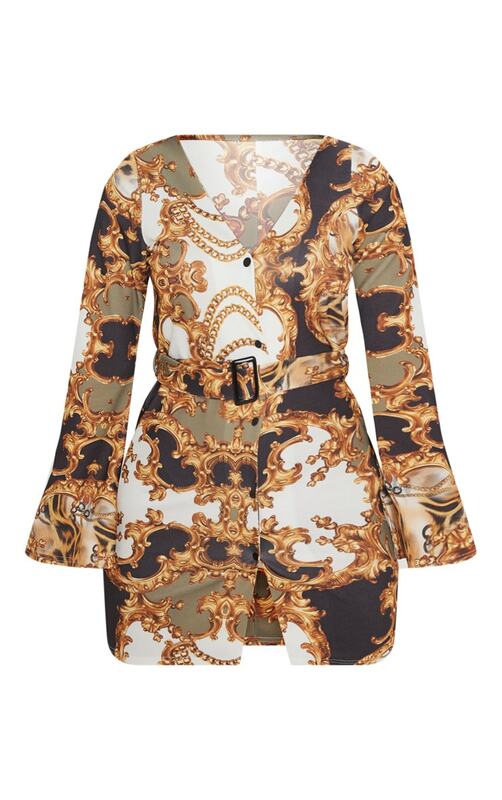 It features a chain print, button detail and V neckline. Team with some killer black heels and your fave clutch to complete your weekend attire.